DeGuzman Sports – By David DeGuzman: Local Sports Anchor, Global Sports Follower. 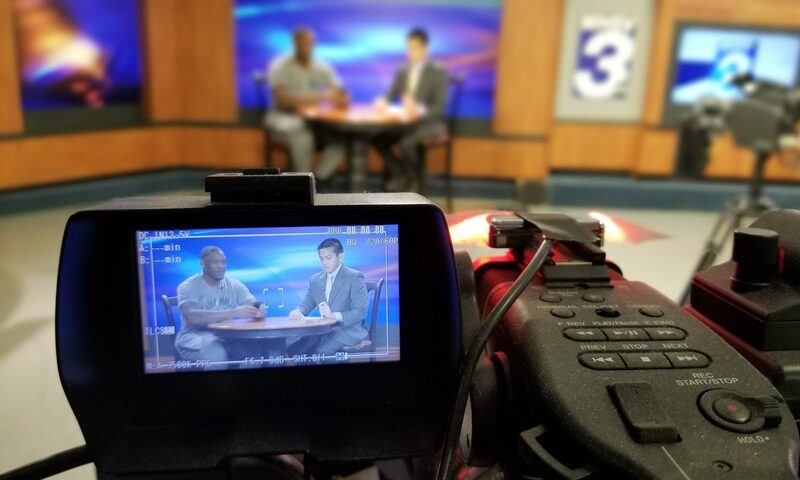 David DeGuzman is a sports media professional currently working as the weekend sports anchor and reporter at WFXR-TV, the Fox affiliate in Roanoke, Virginia. He was previously the sports director at WHSV-TV in Harrisonburg, Virginia from April 2014 to February 2018. His duties included anchoring sportscasts weeknights on WHSV News at 6:00 and 11:00, coordinating the station’s sports coverage, and reporting on athletes and teams that matter to the Shenandoah Valley. Highlights during his tenure included back-to-back trips to Frisco to cover James Madison in the FCS National Championship, two visits to JMU’s campus by ESPN’s College GameDay, the 2015 Winter Classic at Nationals Park, and consecutive trips to the NCAA Women’s basketball tournament. David was also co-host of “WHSV Endzone”, which airs every Friday night during high school football season and shows highlights involving 20 teams in the area. In the Summer of 2016, David served as a Production Associate for NBCUniversal’s coverage of the Games of the XXXI Olympiad in Rio de Janeiro, Brazil. Rio 2016 was his third Olympic Games after serving in the same position during the Sochi Winter Olympics in 2014, and interning with NBC during the London Olympics in 2012. In Rio, David worked for the network’s Sportsdesk department, working closely with producers, camera crews, editors and technical personnel. He mainly helped in assisting with stories for NBC’s “Olympic Zone” program, which aired on numerous NBC local affiliates prior to the network’s primetime coverage. David was also a Sports Multimedia Journalist at WAOW-TV Newsline 9 in Wausau, WI, covering sports stories in the North Central Wisconsin area as a photographer, producer, reporter and anchor. David graduated from the SI Newhouse School of Public Communications at Syracuse University in August 2012, following an internship with NBC Olympics in London. He worked closely with producers from both NBC News and Sports as a logger for the Sports Desk department at the International Broadcast Centre in London. David loves sports television and his dream job is to either produce or report at the Olympics. Here you’ll find the latests clips of David’s on-air anchoring/hosting skills from WHSV-TV in Harrisonburg, Virginia. For more videos, go to his YouTube page. From NFL playoff games to NCAA Tournaments, David DeGuzman has experience reporting from a variety of sporting events. Here’s a sample of his reports and live shots from the field. Going beyond the boxscore and past the sidelines, David DeGuzman has produced numerous sports features as a reporter. For more samples, visit David’s Youtube Channel. One of David’s strengths is getting an athlete or coach to open up in a one-on-one interview. David treats every interview subject in a personable and relatable manner. Here’s a sample of some of the conversations he’s had in his time as a sports journalist.